Product #2848 | SKU AG-C20003G | 0.0 (no ratings yet) Thanks for your rating! 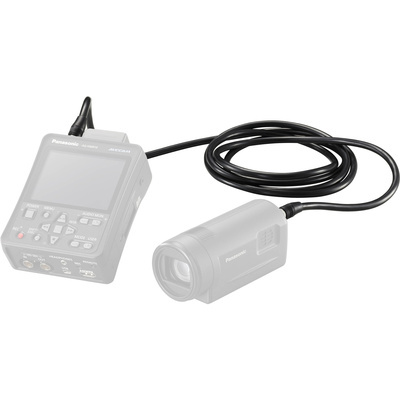 The Panasonic AG-C20003G is an approximately 3 m long cable which is designed to extend the use of the AG-HMR10G and AG-HCK10E Recorder/Camera system. The cable provides enough extension for virtually any remote scenario, creating a versatile and cost-effective solution for a variety of shooting situations. The 20-pin cable connecting the two devices is a wise option. Available optional cables include this 3 metre cable (model AG-C20003G), and the alternative 20 metre cable (model AG-C20020G) for extending to much longer distances.